Posted August 5th, 2017 by dogkeeper & filed under Escape artists, Submitted. 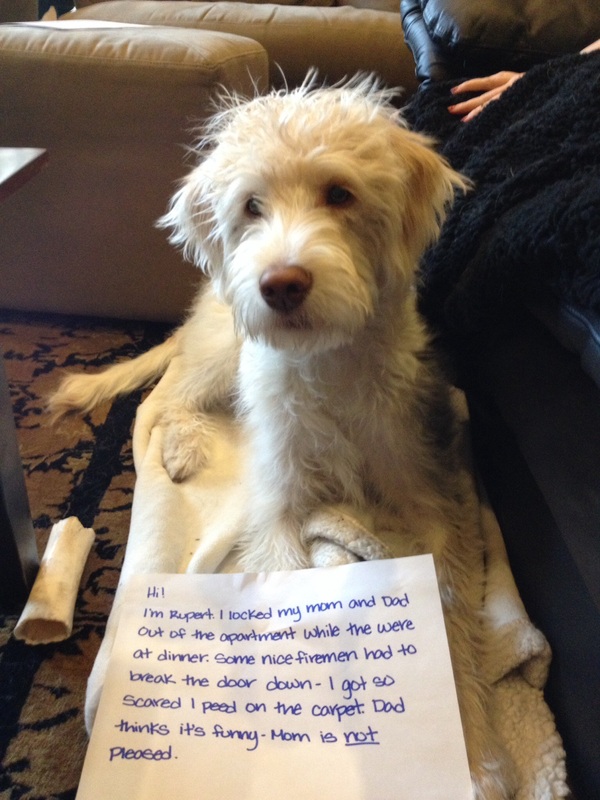 Our 6 month old labradoodle, Rupert, escaped from his kennel and (surprisingly since he is a usually a very very calm puppy) freaked out barking at the front door and trying to get out. He managed to lock the deadbolt (you know, the kind that can only be locked and unlocked from the inside) and lock us out of the apartment. Posted May 1st, 2016 by Audra Williams & filed under Best Friend Betrayal, Submitted. Undie the Sea, Undie the Sea! Posted March 7th, 2016 by dogkeeper & filed under Bad Babysitter, Submitted, Underwear Snatchers. 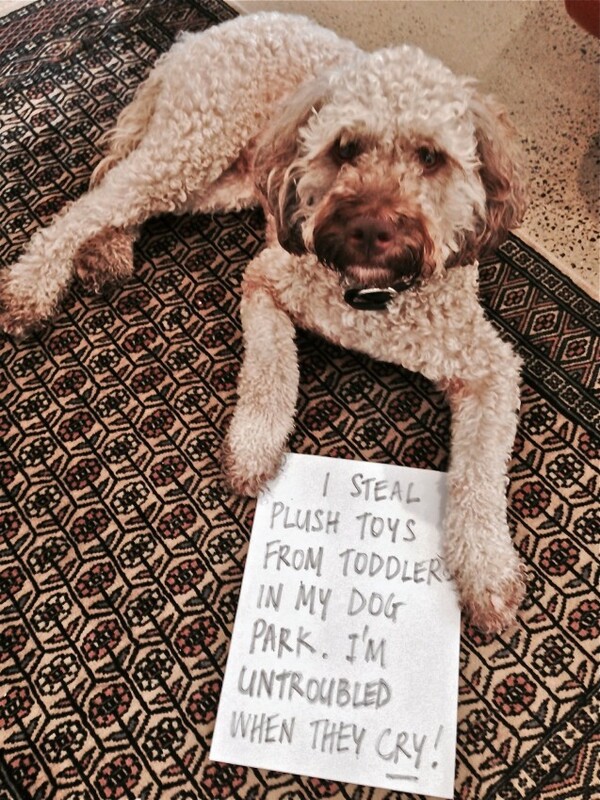 Teddy is a 2 year old Australian labradoodle. 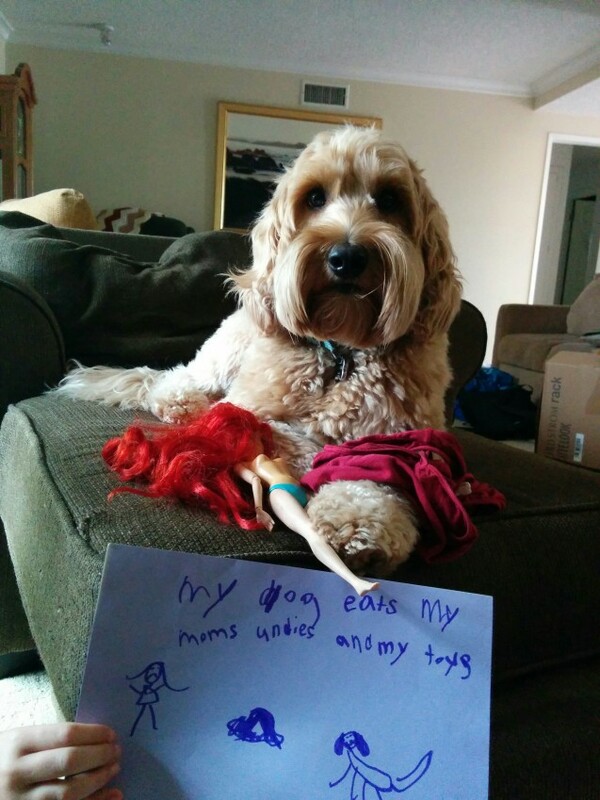 His owner, 6 year old Sadie, wants to tell you that teddy loves to steal and chew her mom’s undies and Sadie’s toys. Princess legs are his favorite! Posted February 26th, 2016 by Audra Williams & filed under Renovation and Redecoration, Submitted. Posted January 13th, 2016 by Audra Williams & filed under Shoe Shames, Submitted. 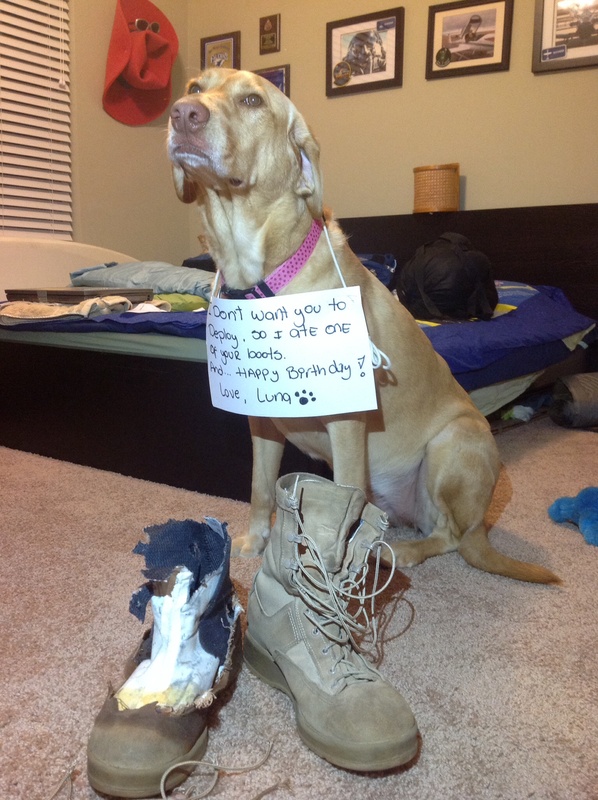 Labra-do me a solid and get me out of here! Posted November 6th, 2015 by Audra Williams & filed under Renovation and Redecoration, Submitted. 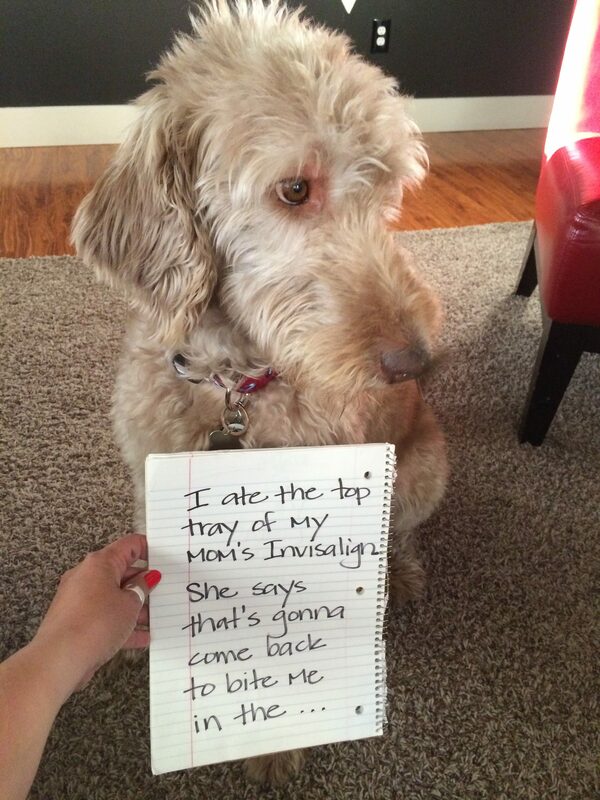 Posted June 20th, 2015 by Audra Williams & filed under Bad Babysitter, Submitted. Sandwich way is the dog house? 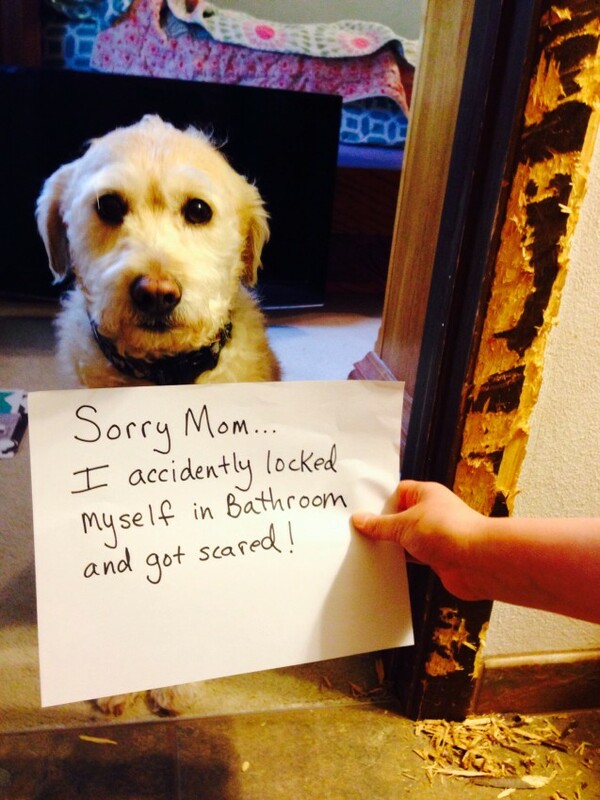 Posted June 20th, 2015 by Audra Williams & filed under Pilfering Pooches, Submitted. 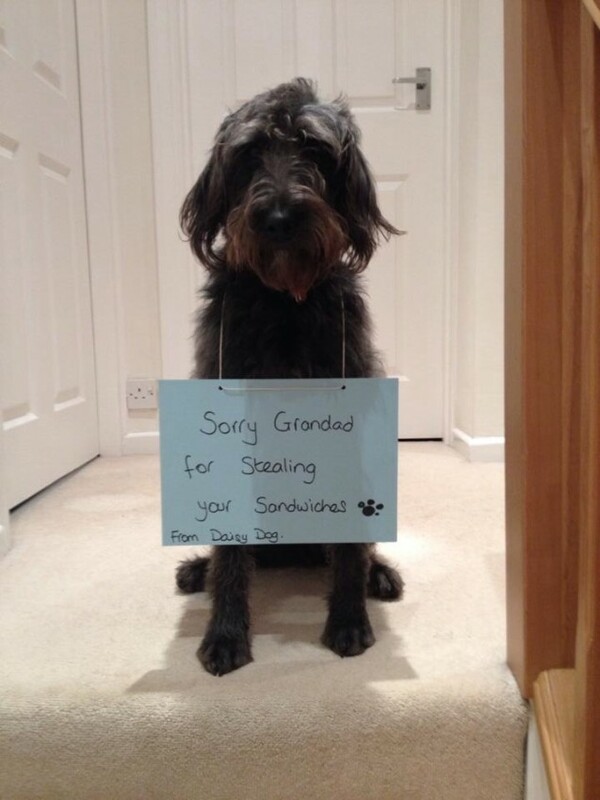 Sorry for stealing your sandwiches Grandad. Posted April 24th, 2015 by Audra Williams & filed under Renovation and Redecoration, Submitted. I chewed and/or scratched this until no bits remained. While everyone slept. 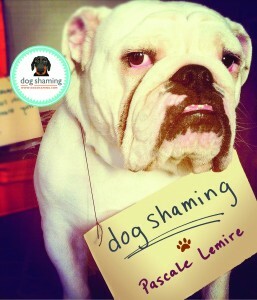 I’m a little ashamed. He’s almost two and we’ve had him since he was a baby. Such a good boy. Until his lapse in judgement last night!!! 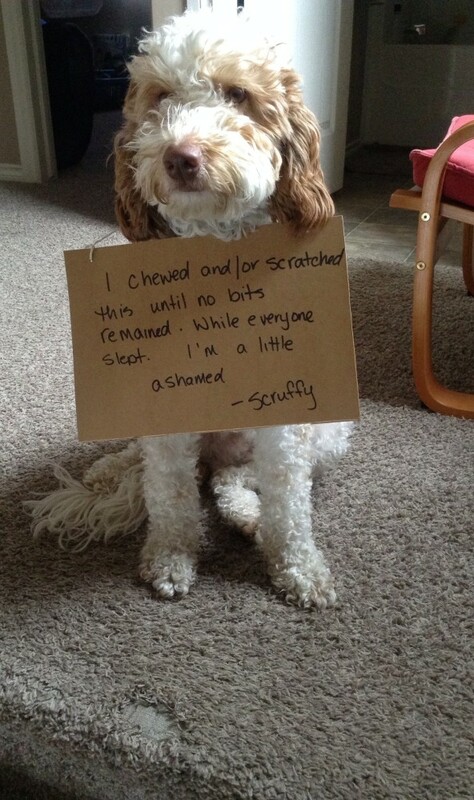 Ohhh Scruffy. 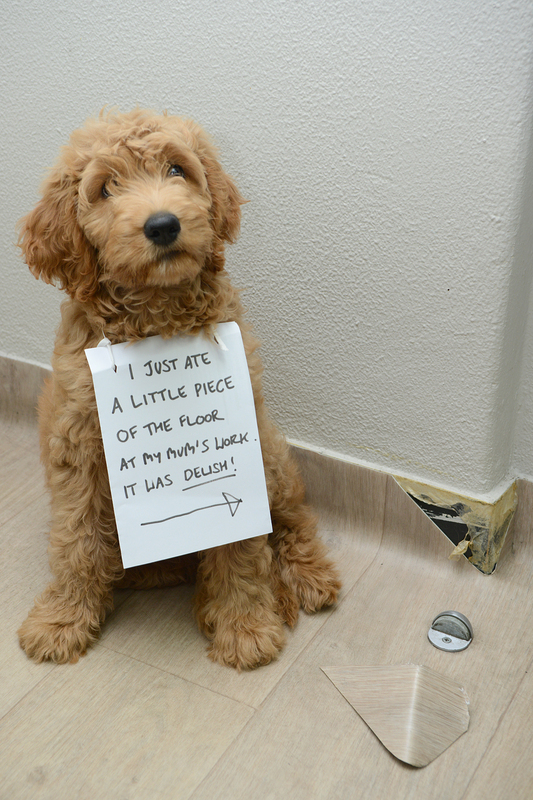 Posted February 12th, 2015 by dogkeeper & filed under Bad Bakers, Pilfering Pooches, Submitted, Vomit Comet. We were out for a fun Friday night and came home to empty shredded bags and an unholy mess of seven large piles of previously consumed human food. 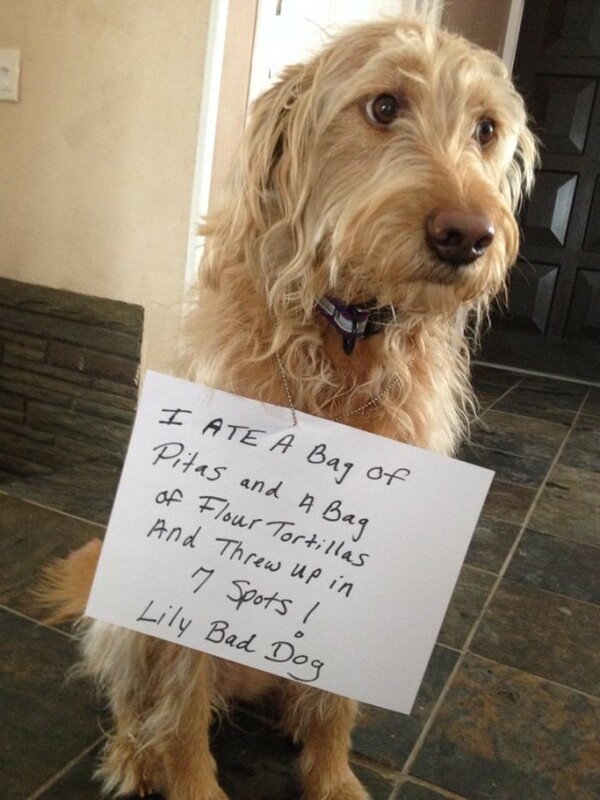 Lily was tall enough to stand on her hind legs and grab two packages consisting of ten pitas and a dozen tortillas. This pushed Lily to the “I don’t feel so well” zone dogs often find themselves in. Lily Bad Dog is feeling just fine the day after, though she may have a gluten-hangover!